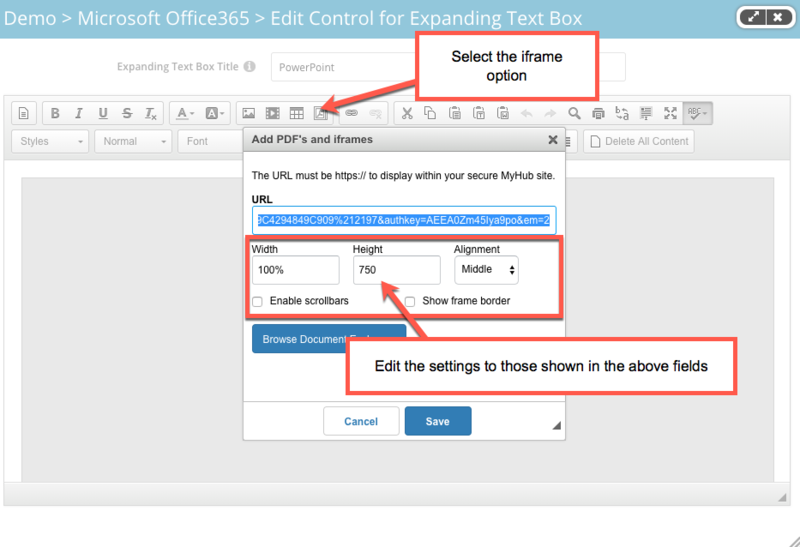 This guide will provide an overview of how to embed an O365 PowerPoint Slide into your site. 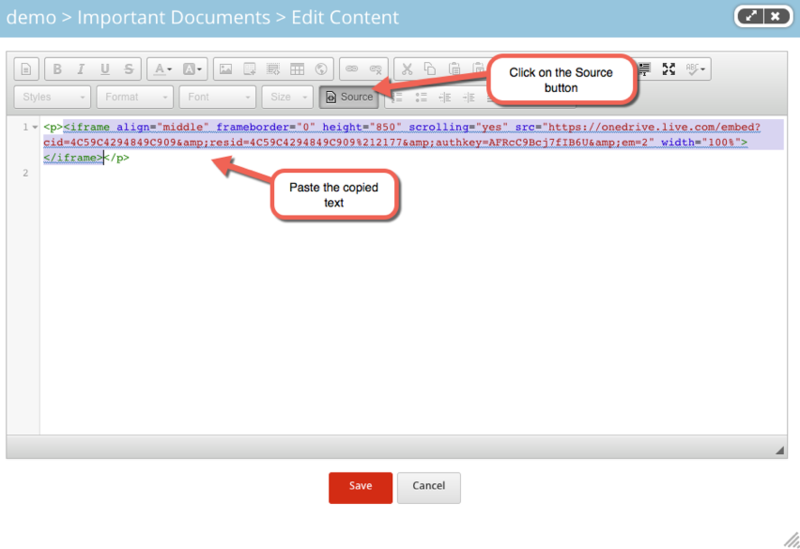 Once the slide has been embedded any changes made in the source slide will automatically be updated on your MyHub site. Whilst this guide will use the Text, Image and Video module any module that has the text editing tool can be used to display a slide.